on September 24th or September 25th, depending on where we are located on the planet, we are collectively experiencing the influence of this years Full Moon in Aries. For our united awakening process into the Golden Age of Aquarius, this is the beginning of a brand new moon cycle as Aries is the first sign of the zodiac. The moon will be positioned at one degree and 59 minutes of this intensively fiery zodiac sign, igniting our passion for new beginnings and fresh starts. My recommendation is to deeply align yourself with this highly motivating energy field, and to fill up your batteries for wonderful new projects and powerful manifestations in harmony with the bigger picture. Each day is a new beginning, the chance to do with it what should be done and not to be seen as simply another day to put in time. As you begin to live a more positive life, it simply makes sense that you take a look at your dreams and goals to see if you are living in a way that will best allow you to accomplish them. You need to learn from your mistakes to start a new beginning because if you stop then you will not be able to accomplish your goals in life. There will come a time when you believe everything is finished. That will be the beginning. This wonderful Aries Full Moon energy field is asking us all to be brave in our self-refection and to courageously address our shortcomings this days, to expose ourselves once more to an adventurous life and to step out of our comfort zone into a profounder relationship with the unknown. We have to be honest about what we want and take risks rather than lie to ourselves and make excuses to stay in our comfort zone. Coming out of your comfort zone is tough in the beginning, chaotic in the middle, and awesome in the end…because in the end, it shows you a whole new world. How do I define a inner breakthrough in my personal development? In which field of my life do I need to make an important shift? In which area of my life can I imagine a bigger future for myself? What elements of life might such a transformed future unveil for me? Breakthroughs happen when limiting thoughts and behaviors are challenged. All personal breakthroughs begin with a change in beliefs. A breakthrough is a moment in time when the impossible becomes possible. If there is righteousness in the heart, there will be beauty in the character. If there is beauty in the character, there will be harmony in the home. If there is harmony in the home, there will be order in the nations. When there is order in the nations, there will be peace in the world. Look at the evidence and be willing to question your own truths, and be willing to scrutinize things that you hold dearly because that way, that transparency, that self-awareness, will protect you from ever becoming somebody whose beliefs somehow make them have myopic vision about what could be. 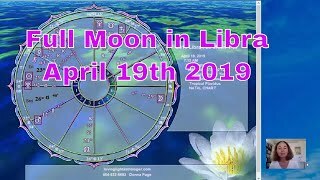 Dear Ones, I hope you all feel passionately excited for this magical Aries Full Moon event, and that you take your chance to make a big shift again into the vibration of the Golden Age of Aquarius. May you all joyfully burn for life and bring forward the things you see hidden in your soul, that wish to come to light these days. Love and Full Moon Blessings! 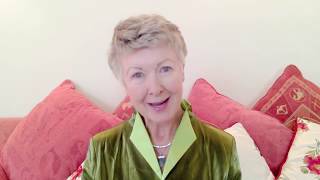 Edith Boyer-Telmer - I was born, as an Indigo Child, a Highly Sensitive – Empath, a Visionary, an Introvert and a romantic Dream-creator, in 1968 in Vienna, Austria. I was the youngest child in a family of eight, with 2 sisters and 3 brothers. Nothing special or extraordinary on the outside, but on the inside I had a hard time growing up. 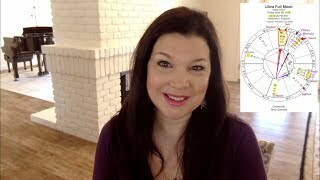 Living in an environment where all of this terms where alien to other family members, my friends, teacher and trainer, I did not know how to live my energy authentically. • How to Get the Best Out of a Blue Moon! • Supermoons And Black Moon Lilith: You Can’t Have One Without The Other! 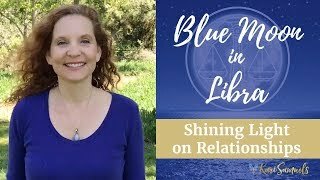 • The Partial Solar Eclipse On Jan 5th/6th - In Relationships! • All Hail The Cancerian Full Moon At The Winter Solstice! 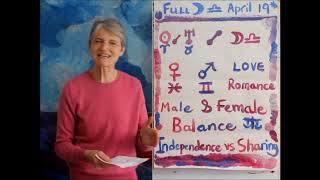 • Full Moon 23 November 2018 - Temper Temper! • Tonight Is The Full Crow Moon In Virgo - Get Ready For A Major Energy Shift! • New Moon in Capricorn - Onwards! 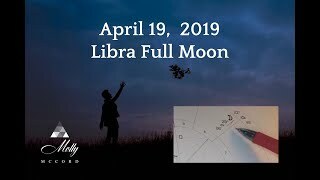 • Tonight Is The First (and Largest) Super Full Moon Of 2018 - Get Ready For An Energetic Bang! • What is a Blood Moon?